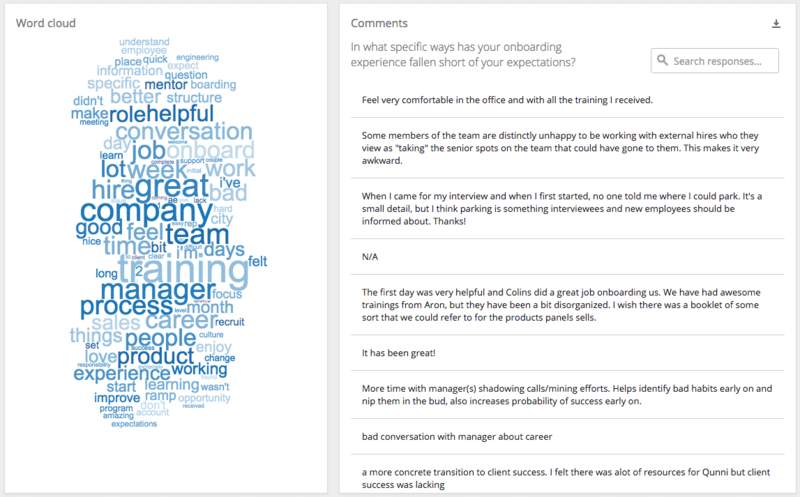 Ramp your new hires quickly and improve new hire engagement with real-time onboarding insights and action planning to improve your onboarding programs. 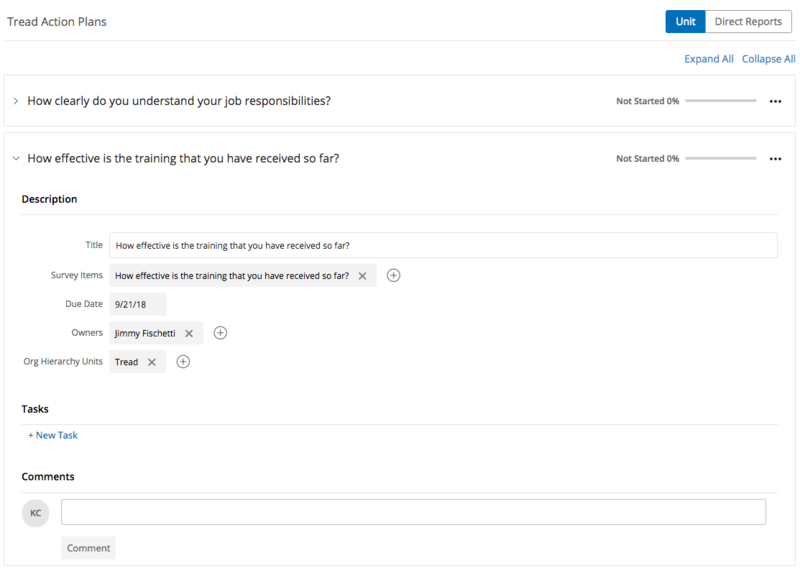 Improve your training and onboarding programs for new hires by collecting and analyzing real-time insights from new hires through our expert-designed Onboarding Insights program. 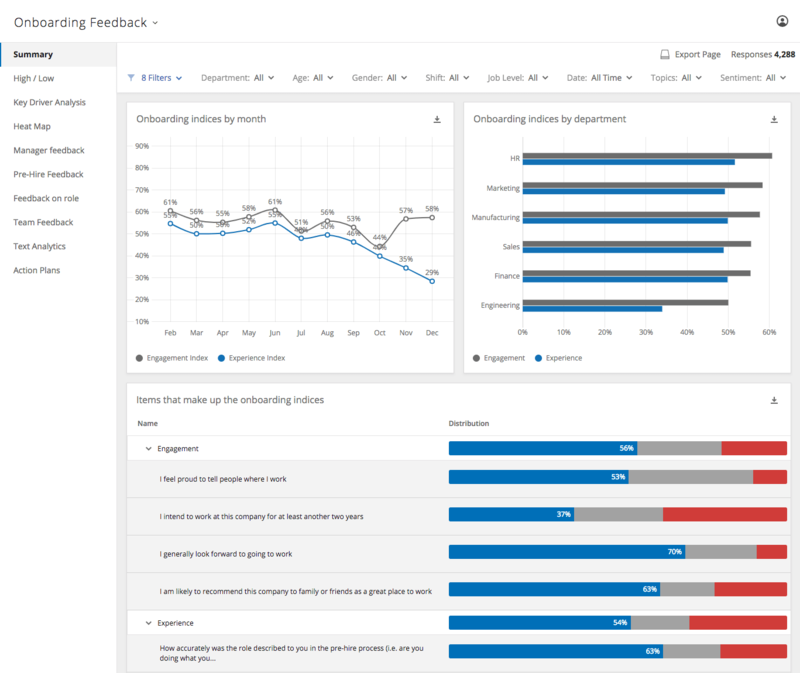 With pre-built surveys, communications and dashboards, you’ll have everything you need to help you design onboarding programs that reduce ramp time and drive early engagement for new hires. Get started immediately with a program design based on extensive Qualtrics research and expertise from our team of I-O psychologists and XM scientists. 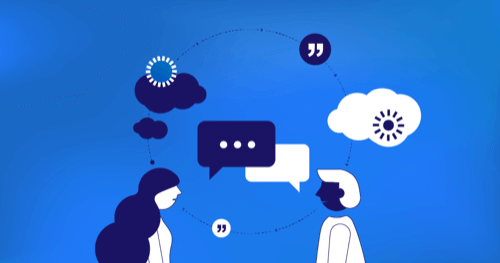 Quickly and easily identify trends from open text feedback and dive deeper into topics and responses to understand the root cause. 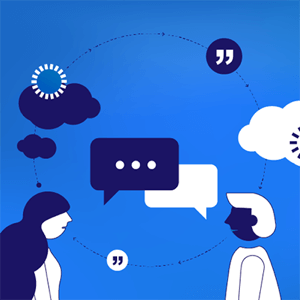 Ensure that employee feedback has been heard and actioned by assigning tasks and follow-up actions to team members.